Please choose the most appropriate answer for the following questions. 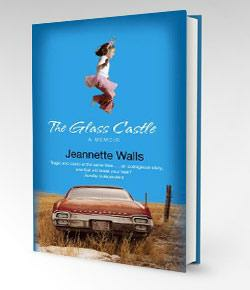 Let's paly this quiz and learn more about The Glass Castle book! What City is Jeanette living in when she begins this book? Jeanette states that she was imbarassed of herself for wearing pearls and living on Park Avenue. What event causes her to feel this way? What did Jeanette's mother do with the duck sauce and the hot-and-spicy mustard? She told her daughter that she simply must try the sauces on her kung pao chicken. Jeanette tells us that her earliest childhood memory was.........? Jeanette names several reasons she would like to stay in the hospital forever. Which reason below is NOT one of those reasons? When Jeanette's mother arrived at the hospital and found her chewing gum, she told Jeanette that chewing gum was a low-class habit, and the nurse should have consulted her before encouraging such vulgar behavior. Explain the irony in this statement. What kind of prize did Jeanette's mother win at the raffle at the fair? What word did Jeanette's father use when they had to leave their home quickly? Which two fruits does Jeanette remember having an feast on at one point during her childhood? What is the Glass Castle? What was their father's excuse for having not yet started the constructino process of the Glass Castle? Who thought that Rex Wall's was flawless? What made the Joshua Tree so beautiful? Explain the symbolism of the Glass Castle. What does it represent?